The Christmas is just 25 days away so let’s start preparing for it and make the best out of this amazing festival. Gameiva brings you a totally new collection of Christmas games for toddlers and kids featuring all the different Christmas activities like Christmas makeover activities, educational activities, salon games, playing with the snowman and much more. Enjoy this Christmas in a totally new way with lot of new ideas and things you can do. 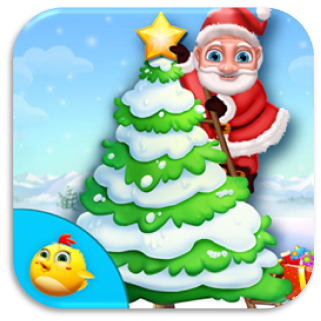 Let’s have a look at all the latest Christmas that was uploaded recently by Gameiva for all the toddlers. It is time to start our preparations for the Christmas celebrations. So let’s decorate some beautiful Christmas trees with lot of decorating items, lighting the colorful lamps on it, beautiful start and many jingle bells on it. Fire the rockets of many different colors into the air and enjoy preparing a beautiful Christmas tree. Start with lot of different Christmas activities later like building a handsome snow man, dressing up the Santa clause and much more. This game for toddlers will surely help them understand lot of different activities done in in Christmas. Build different types of beautiful Christmas trees with lot of different decorating items to add on it. Make a beautiful snowman by yourself and make him wear a cap, a nose, design his lips, make him wear a glass and much more. 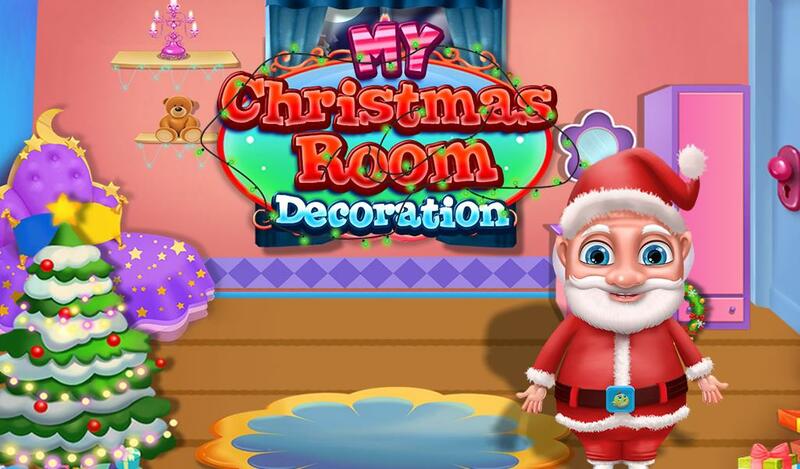 Help the Santa clause to dress up with many different colors and designs of beautiful dresses, glasses, hats etc. Finally burst the crackers and rockets of different colors and wish all your friends a happy Christmas. Christmas is coming very soon & it’s time to get ready for the grand celebration. Every girls need to prepare herself with different styles. Let’s start preparation from nail art. There are different nail art activities in this Christmas Nail Salon. 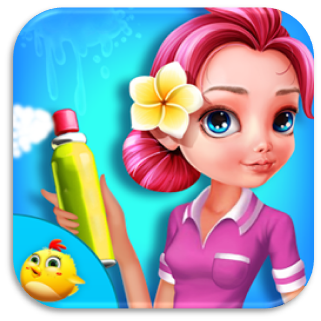 At the beginning of game select hand form given option & start nail art as an experienced nail artist. Complete all the design on the nail using different salon tools like nail paint, stickers, glitter, finger rings & more. 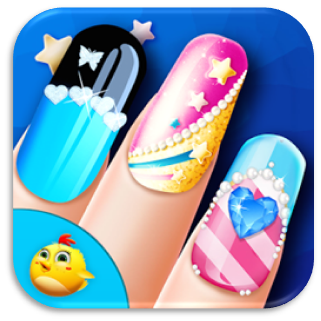 Make an awesome nail design through this game & get ready to look gorgeous with wonderful nail art in Christmas party. The Christmas is nearing by and kids are so excited to preparation for that. They love to decorate their room. Let’s help them to decorate their room. Select any of your favorite design for curtains, wardrobe, table, frame, paintings & more. Decorate room as you wish with decoration items. After complete decoration choose different dresses for Santa & baby. Now everything is ready to start celebration. Various options to choose for decoration. Select party dresses for baby. Select colorful dresses for Santa. Share this fun game with friends & enjoy this Christmas together. HO!Ho!Ho! Christmas is around the corner & girls needs a quick makeover for her appearance on this Christmas parties. Different makeover activities like massage on screen, remove pimples, wash hair properly with shampoo & dry it with hair dryer. Choose different hair styles, use makeup kit & show your makeup style. Choose designer dresses with matching accessories from wide collection for big Christmas party. At last take a picture of complete makeover. 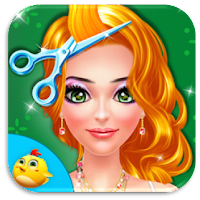 Finally do the dress up activity for the girl and select the best and the most suitable and beautiful dress. A cute baby has to enjoy all the different Christmas activities but first she has to bath and wash off all the dirt & clean the body. Help mommy to bath the kid. Help her to rub the soap all over her body and wash it off with the water. After bathing play with the baby for some time on mommy's lap and enjoy swinging with her in the beautiful evening. Help the mommy to choose all the different shampoos. Pour some flowers in the bathing tub. Use the soap to rub out all the dirt off her body. Finally play with the baby for some entertainment. These Latest fun learning games for kids can help them learn the basic educational stuffs in life with lots of fun and learning activities. Download from play store, Play and Share all these amazing Educational and Activity games for kids with all your friends and enjoy your day with friends and family. Get more educational and free fun android games for kids at Gameiva. These educational and learning activity games will highly benefit all the kids for various different useful stuffs in life. They can also learn it in the most entertaining and fun way. Share all these fun activity games with your friends and enjoy your time with them.